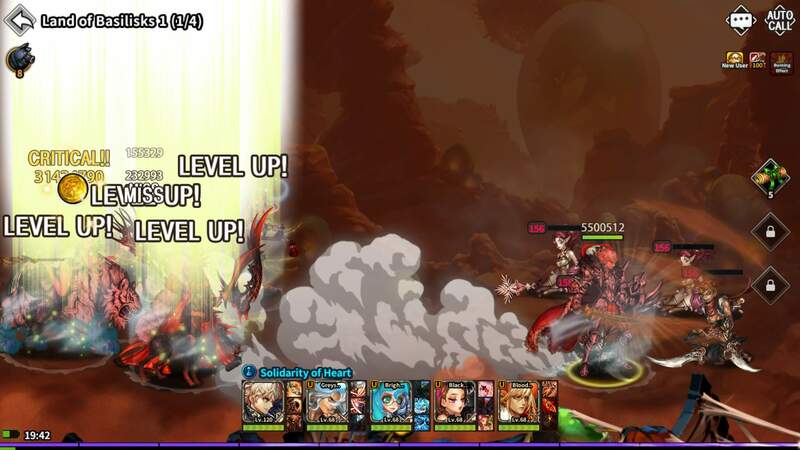 Enjoy an exciting game play in this epic MMORPG Dragon Blaze. Embark on a thrilling adventure with your heroes and allies. Defeat the evil with players from all over the world. Dragon Blaze is one of the best MMORPG games out there that features a thrilling storyline full of mighty heroes and skilled enemies to defeat. The game also includes guilds, arena battles and dungeons contests that will test your mettle against players from all over the world. With stunning graphics and an epic fantasy world, you are never going to get bored of this masterpiece. You get to start your journey by choosing your favorite characters from a variety of choices. These include priest, archer, mage, warrior, paladin, sorcerer and others. 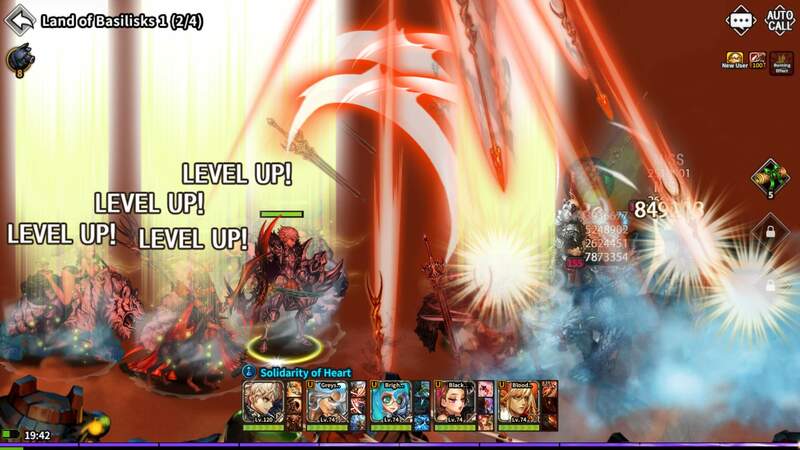 Each class of hero has their own attributes and special skills that can come in handy during battles. Moreover, you are also allowed to choose multiple characters in the storyline. In the single player mode, you have to go on adventures and missions where you will have to fight enemies with your hero and the allies that you make along the way. The game brings epic game worlds including the forbidden land, the land of basilisks and the ivory earth. Each area has its own missions and you have successfully complete one in order to unlock the next tougher challenge. As the storyline progresses, your character will learn new skills, enhance them and collect valuable battle equipment along the way. The entertainment doesn’t end here. You can also compete with players from all over the world by joining guilds and alliances. 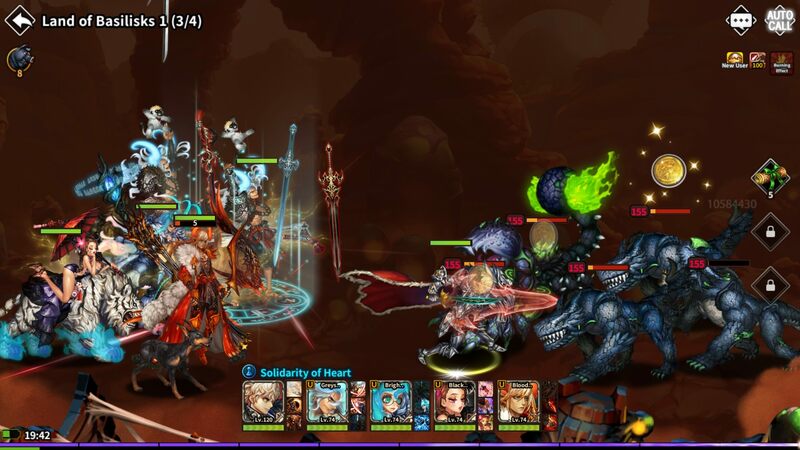 Honor Gorge, Challenge Gorge and Guild Gorge are three multiplayer modes where you get to team-up with your friends and compete with the world in epic game modes including arena battles, team death matches and many other addicting challenges. When it comes to the combat system of the game, you have to form the perfect strategy in order to win. In auto-based battles, all you have to do is choose your heroes line ups and execute skills at the right place and at the right time. The game also has a social aspect to it. You can invite your friends to the game or connect with people from all over the world by sending them friend requests. Once you are friends with someone, you can chat with them in your own inbox as well as exchange free gifts anytime you want. Dragon Blaze has some really amazing graphics to offer. You get to enjoy stunning character detail, eye catching skill execution and real life game physics. The fantasy world has been beautifully portrayed and you also get to enjoy amazing sound effects and catchy background tunes. If you are running short on resources in the game, you can always purchase them from the store with real money. The store has the most amazing deals that are guaranteed to offer a great value for your money and all the resources along with it. Stop the never ending war with your allies and heroes in this epic MMORPG. Make new friends and team up in guilds to compete with the world. Learn new skills, enjoy an epic combat system and execute jaw dropping skills. Try out Dragon Blaze today.